I am excited that you’re here with me as we discuss the latest in pain care and pain science. Today we are discussing the topic of pain catastrophizing, which has been identified as a prognostic indicator of poor outcomes for many types of chronic pain syndromes. Interventions to address pain catastrophizing are commonly used by many pain professionals including physical therapists and psychologists but have not been tested in patients who are undergoing total knee arthroplasty or what is known as a total knee joint replacement. 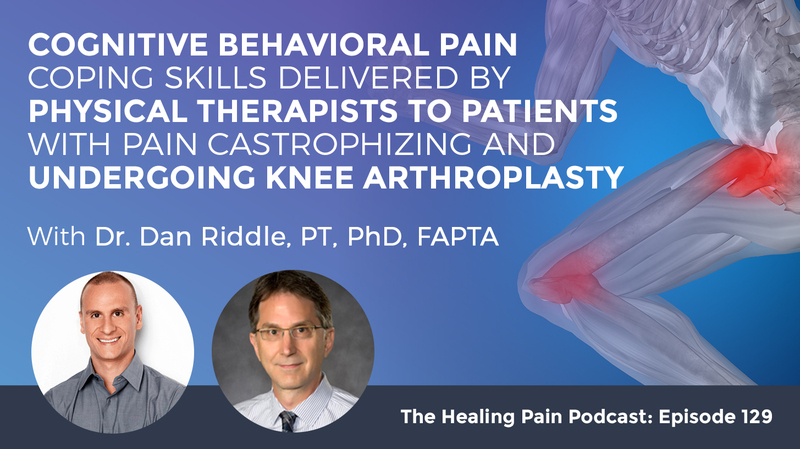 To speak with us about whether pain coping skills training can potentially help patients undergoing total knee arthroplasty is Dr. Dan Riddle. He is a Professor of Physical Therapy, Orthopedic Surgery and Rheumatology at Virginia Commonwealth University. His clinical and research interests are in the lower extremity and musculoskeletal disorders with the primary focus on osteoarthritis and joint arthroplasty. Dr. Riddle studies diagnostic, prognostic and intervention-based research techniques with an emphasis on the role of pain in both the disease and recovery process. He is currently the chair of the Neurological Aging and Musculoskeletal Epidemiology study section for the National Institutes of Health. He has received numerous awards for his work, including an award from the Foundation for Physical Therapy and the National Institute of Arthritis. He will discuss his multi-center three-arm single-blinded randomized controlled trial for pain catastrophizing. In his study, one group received usual care, one group received Cognitive Behavioral Therapy delivered by a physical therapist and one group receive arthritis education delivered by registered nurse. I love this study because of its three-arm design. I think you’ll be surprised at the outcome as to which group did better. This study and this podcast is valuable information which can help you make better clinical decisions about your plan of care for patients undergoing total knee arthroplasty. Dan, it’s great to have you here. It’s great to be here, Joe. I’ve been following your work and you came out with a paper in The Journal of Bone & Joint Surgery. It’s called Pain Coping Skills Training for Patients Who Catastrophize About Pain Prior to Knee Arthroplasty. It’s a great study. I know a lot of people have been sharing it on social media so I figured I’d invite you on and talk about it. The outcomes of the study were potentially not what people thought it would be and maybe not what you thought it would be either. What was your question? What were you studying? The study that we did, which is in comparison to other randomized trials on this topic is a behemoth study. We were interested in studying a subgroup of people with knee replacement surgery. It was specifically the subgroup that we’ve studied before and we’ve actually demonstrated as have several other groups. Pain catastrophizing is a potential prognostic indicator of poor outcome. We know that patients who get knee replacement surgery, about 20% of them end up with persistent pain or limited functional ability and dissatisfaction with their outcome. Those three different subgroups are all different. There’s an overlap but they’re not completely the same. Probably the best predictor at the time when we did our study of a subgroup who doesn’t do well is pain catastrophizing. We studied that specific phenotype because we were interested in finding ways to help them. About the time when I was thinking about this whole project, I met Frank Keefe who is a pain psychologist down at Duke. Frank and I worked together to design this project and work it through the different phases of funding from NIH to get to where we are with this final project. People who follow this podcast are familiar with pain catastrophizing. We’ve talked about it with Beth Darnall who was a pain psychologist who’s done a lot of work in that area, which is a great body of research. 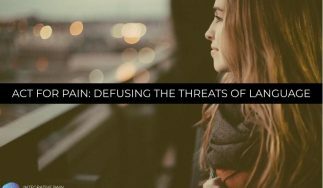 Pain neuroscience and explained pain have even started to look into the effect of explaining pain or pain neuroscience on pain catastrophizing. This study has three arms to it, which I thought were interesting. Can you explain what those three arms were because it informs the rest of the findings? The idea behind a randomized clinical trial is that if you want to understand the cause of whether an intervention does affect the outcome that you’re interested in affecting, the optimal way to do that is via randomized clinical trial. We were interested in what we described as a hybrid design. Some clinical trials are designed to be purely explanatory in nature. They have ultimate control and limit admission to the study to a very select subgroup. It’s designed to optimize the treatment, whereas our trial falls into a hybrid category somewhere between explanatory and pragmatic. The pragmatic trial is the one that is invisible to the patients where the study actually occurs in the context of a daily practice routine. Therefore, the trial is in a way invisible. This trial wasn’t invisible obviously. Patient sign consent forms and they participated with blinded data collectors and so on. We recruited a subgroup that we knew a small sample. It probably wasn’t going to be very engaged with the intervention because of the life challenges associated, not only with a knee replacement but also with daily life and the challenges in daily life for people who have chronic severe pain. That was the incentive and motivation. We had three arms, we had a usual care arm and that arm only participated in data collection. It didn’t get any intervention from us. They went through their usual daily operative and post-operative recovery process that they would ordinarily if they weren’t in our study. We did have five sites from around the country participate. Arm number two was what we called arthritis education. The idea behind the arm number two was to provide patients with a caring practitioner. These were nurses who had experience with arthroplasty who taught patients over the phone for approximately eight hours, preoperatively and postoperatively for about a two-month window pre-op to post-op. They spent a good deal of time on the phone with these patients. The key issue with the arthritis education arm is that there was no talk about how to deal with pain. That arm allowed us to control for the amount of time with the caring practitioner, which we know is usually helpful for patients, independent of what the content is. That’s what we wanted to do. We wanted to control for that time that was spent with the caring practitioner without the active ingredient, i.e. the pain coping skills. The third arm was the pain coping skills arm. 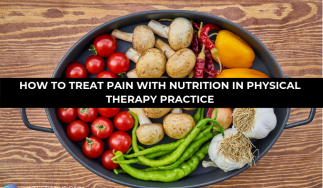 This was Cognitive Behavioral Therapy for pain delivered by physical therapists who were trained extensively and followed extensively by pain psychologists throughout the study. Those were the three arms. You’re right, we absolutely expected a better effect, a bigger effect with the pain coping arm relative to the other two arms. In fact, we expected the arthritis education arm to have a bigger effect than the usual care arm and the pain coping arms have a bigger effect than the arthritis education arm but indeed, that did not happen. I want to dive into some details about those three arms. The usual care arm, would that mean that a patient potentially who went to their surgeon, was evaluated, had radiographs, had a knee replacement and the potentially wound up in physical therapy? They are receiving some treatment, which could potentially include some type of pain education or even some type of CBT-type work. They could very well have. In fact, all three arms could have gotten additional pain coping instruction to varying degrees. The beauty of randomization is that is controlled because by chance, patients could get the same amount in any arm. That controls for all the unmeasured factors like the one you’re mentioning, which is a potential real influencer of the outcome. Because of randomization and we stratified randomization by surgeon and site, we were able to control for factors like the differences in the PT patients might get during their post-operative recovery. Can you share with us what some of the main components of the arthritis education were? I’m curious to know what was in that education that may have performed so well. One of the gaps that we see in interventions designed to teach patients to cope better with pain is transparency regarding what the intervention was. The same is true for the arthritis education arm. I’ve told you that a patient has got almost eight hours of telephone-based intervention. The ingredients during that eight hours of either arthritis education or pain coping could be mysterious because what was all that? In actuality, in The Journal of Bone & Joint Surgery, there are appendices, supplementary files available to anyone who wants to look at them. They’re the arthritis education and pain coping manuals for both the clinicians and the patients. The entire description of the interventions for both of those arms as it is readily available. To answer your question, it was basically everything you could ever want to know about osteoarthritis and arthritis generally. We talked about the different types of arthritis. We talked about implants. We talked about factors that can make osteoarthritis worst. We talked about discussing with the healthcare provider. We discussed anatomy so patients can better understand a lot of issues related to musculoskeletal care for osteoarthritis. Did they receive a lifestyle intervention with regard to movement, nutrition or sleep? If you want to understand the cause of whether an intervention actually affects the outcome that you’re interested in effecting, the optimal way to do that is via randomized clinical trial. No, we did review standard exercises that patients get but they weren’t prescribed. They weren’t encouraged to do various different physical interventions to try to improve their status. It was all basically educational content delivered in a way to improve a patient’s understanding not necessarily to change their lifestyle. If we can maybe look at the PT, CBT part, CBT can be anywhere between a single session upwards of ten sessions that have multiple components to it. Do you remember some of the key factors in the CBT? It’s basically CBT customized for patients getting knee arthroplasty. There was a lot of time spent and talking about ways to modify activity and ways of thinking about pain. There was some cognitive restructuring as part of the intervention. There were pleasant thinking activities, many practices that were taught to patients and practiced repeatedly. Discussion of challenging activities, how to better handle situations that maybe painful or difficult for the patients to accomplish. The training that our PTs went through was quite substantial. We sent all of our PTs to Duke. We all did a full two-day educational session to begin. All the PTs came back to their individual sites and these were all local PTs at the five sites that we had involved in the study. They weren’t distanced. They were all local. They all had to practice on two patients, independent of the patients in the study, audio tape, all those sessions and send all the audio sessions back to the trainer back at Duke. They got feedback and over the course of the three years of data collection, we had monthly conference calls with the clinical psychologist both locally and at Duke to discuss challenging patients. The trick here was managing the idea that PTs obviously deal with these patients all the time, but they don’t do the cognitively based interventions that CBT requires. Because we were dealing with patients who had moderate to severe pain catastrophizing and chronic pain, we had a fairly substantial number of people who had major depression. We had about 20% of our sample that had anxiety disorder. This is a challenging population for anyone to treat, let alone PTs to try to begin to manage cognitive pain processing issues for these patients. Safety was a big issue for our trial because of the mental health profile of these patients. We tracked very closely to the adverse events and serious adverse events for obvious reasons. This is an intervention that would typically be delivered by clinical psychologists but were delivered by PTs. We had to track the levels of depression very closely, the hospitalizations for psychological distress and so on. They were very rare and probably very similar to what one would expect in routine care. Those were the reasons for all the monitoring that we did. Plus, it assured us that we would have a high level of compliance with the fidelity of the intervention, the quality of the interventions. At the end of the study, what we did was we recruited a pain psychologist independent from the study itself to listen to a random selection of the audio tapes. Every session for both arthritis said and for pain coping was audiotaped. We have all of that. We had a nurse educator and a pain psychologist listen to a random sample of tapes to assure that they were adherent with what the protocol required. The PTs and the nurses did quite well with complying with or adhering to the original protocol. We felt like the interventions were delivered as planned. We felt like the adherence by patients was good. We had a scenario where the arthroplasty has such a major beneficial effect that any additional effect wasn’t reachable with this intervention. It also sounds like the group of patients had significant clinical depression not just mild to moderate, which is often seen in new populations. I know a lot of your audience are familiar with the Pain Catastrophizing Scale. That’s a scale that is commonly used. We used to cut off of sixteen or higher. It turned out that sixteen or higher and it turned out the average PCS score in our sample was 30, which is quite high. There are many times co-occurring levels of depression and anxiety when you have someone who catastrophizes. The overall score for our depressive symptom, we used the PHQ-A, which is a commonly used depression scale. In fact, Kurt Kroenke who developed that scale was a consultant with our trial and is co-author on this paper. Both Kurt and Matt Bair, who’s also an internist who works with Kurt was on our paper. They were a bit surprised actually by the fairly low score in depression and anxiety. The mean scores were five, six around in there for PHQ-A and the GAD-7, that’s pretty low. We did have about 20% of the sample that had major depressive symptom severity and high levels of anxiety. There is that 20%, that number keeps cropping up as a subgroup that had substantial amounts of depression and anxiety. The question then begs to ask, does this mean that coping skills has no place in knee arthroplasty? It’s not going to start to extrapolate toward knee pain. I appreciate that question because this study was such a clear no effect trial when you look at the figures showing the primary outcome, which was WOMAC pain. Those lines so closely overlap it looks like one sample. The take-home message here is that if you’re going to apply pain coping skills to patients getting knee replacement, it’s very unlikely that pain coping skills in addition to knee arthroplasty is going to make any difference. This to me is a pretty definitive trial. What we have done since with this same data is we have done some what’s called latent class modeling of the WOMAC pain scores. We talked about what motivated to study was the fact that we looked at the most powerful prognostic indicator per outcome, which was pain catastrophizing. It didn’t appear to have any usefulness in terms of predicting who was going to do poorly or whether they were going to respond to pain coping skills. However, when we modeled the WOMAC pain scores, there was again a 20% subsample within our 380 patients who had the knee arthroplasty in our study. 20% of those ended up at twelve months with the same level of WOMAC pain score as the other 80% before surgery. There’s still a 20% subgroup within our study that did very poorly, had very high persistent pain and those people had significantly higher catastrophizing scores. I think the take-home message is if you have a patient with Pain Catastrophizing score 35 or higher, that probably is an indicator of poor outcome. That’s probably a good target to consider. Pain Catastrophizing Scale scores anywhere pushing up to 30, are probably not amenable to a pain coping skills intervention when there’s knee arthroplasty on top of it. Would you say that’s true no matter who’s delivering the CBT, whether it’s a PT or a psychologist? I think so because the benefit of a physical therapist delivering this and all of our physical therapists were therapists who are experienced with arthroplasty treatment, is they have the perspective and the experience to include arthroplasty recovery into the coping skills. That’s a benefit that clinical psychologists typically won’t have. That was one of the motivators for us using PTs in our study because they have the perspective and context to place coping skills in the milieu of recovery from knee replacement. It’s pretty clear that the therapeutic effect of knee arthroplasty is so large that there’s no meat on the bone left for pain coping skills to have much of an impact at all. I noticed in this study that the pain coping skills were delivered mostly by telephone. I believe they’ve met in person first for about fifteen minutes and the rest was telephone. It didn’t look like the same physical therapist followed their care. Is that correct? It actually was the same physical therapist that delivered the initial treatment. The initial treatment, by the way, was about an hour where session number one was really all about developing rapport with the patient face-to-face. Then the remaining seven sessions were telephone-based. We did as best we could to make sure that there was a continuity with the same therapist overall those sessions. You’re absolutely right, changing it up mid-stream, just like with PT care generally is probably less than ideal for pain coping skills. Telephone-based CBT interventions have been proven to be effective in various types of care. PTs deal with patients all the time but they don’t do the cognitively-based interventions that CBT requires. For medically-treated conditions where you don’t have an overlying very effective surgical procedure on top of it, there is a benefit. There have been several trials that have used telephone-based pain coping skills training or Cognitive Behavioral Therapy to produce effects. Now, there’s internet-based pain coping skills or Cognitive Behavioral Therapy approaches that also have been shown to be effective. This is done at one medical center? This is done at five medical centers. It was Duke University, Wake Forest, New York University, VCU, and Southern Illinois participated early on for a few months. Then we brought in NYU. You may be seeing a different population at a medical center than you might be seeing in an outpatient physical therapy practice? It’s certainly possible that tertiary care centers are seeing more challenging patients. The difference I think is that these are all primary arthroplasties. They’re not revisions and the tertiary care center or the highly experienced highly trained surgeon who’s known probably better for doing complex revisions, those aren’t the patients we targeted. We did have about 35% African-American population in our study, which is great. The challenges of patients who are from a lower socioeconomic status, who have challenges in their communities. A global challenge and this includes some of the African-Americans in our study as well as some of the Caucasian patients. These are all contributing factors to why some of these patients had challenging recoveries. Overall our patients, when you look at the entire sample as a whole, they ended up doing about as well as any other sample of patients with knee arthroplasty. It firmed it up for me that knee arthroplasty is incredibly effective for a population. When you’re looking at a population, you can always look deeper and find a subgroup that don’t do well but overall 80% of patients do incredibly well. It’s probably not part of this study but maybe you have some data on this or you’re developing data. Since so much time was spent with providing care, whether it’s through CBT or through arthritis education, did you take a look at patient satisfaction? We did measure patient satisfaction and the patient satisfaction scores showed a very similar proportion satisfied as the latent class analysis that I talked about, but there’s not a complete overlap. If you think of a Venn diagram, there’s a lot of center but there are some patients who were dissatisfied but did very well and there were patients who didn’t do very well but were satisfied. The satisfaction rates were very similar to other populations of arthroplasty patients. That’s true no matter what arm they were in. The paper is relatively new. It’s still out there and circulating around. Have you gotten any feedback from colleagues? I have heard from a few colleagues. Most of them were, “It’s too bad you put five years into that.” It turns out that no effect trials are as exciting obviously as trials that show a big effect for an intervention that you’re interested in studying, knowing about and potentially recommending. However, a no effect trial also is very informative. What we know from this trial is that we shouldn’t have PTs or anybody else deliver pain coping skills training to patients getting knee arthroplasty unless their pain catastrophizing is very high, then they have a potential for having some benefit. It’s a potential cost-saving finding and a reassuring finding for people who are going to get knee arthroplasty even if they have difficulty coping with pain. It’s important as we’re sending people through these funnels of different types of care, it is one way to start to say, “If this is the patient population you have, you probably shouldn’t wind up with these types of interventions because they may not be useful for them.” It saves money, it helps third-party players, informs what they should be doing and informs what medical centers or small practices should be doing with that type of patient. Knowing what not to do is just as important as knowing what to do at times and this is a good example of that. You have still some data and you’d like to see this go forward in what type of way? I don’t think I personally will be doing any more pain coping skills training research because I do love work in the area of arthroplasty. I’m not sure I’ll be pursuing this specific area much more. I still am very passionate about figuring out what it is that contributes to poor outcome in that 20% that don’t do well. I would like to incorporate that in future research in ways to prospectively identify those at risk people. 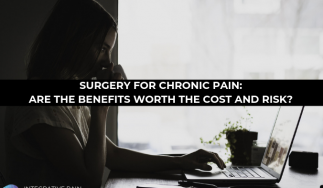 Participate with them and share decision-making approaches to make sure they understand what their risks are for not necessarily getting much benefit from a surgery. That’s where this work has taken me in the direction of a shared decision-making research direction that incorporates this information about risk for poor outcome. I didn’t see it in the article. Are there any type of cognitive measures that looked at pain acceptance? No, we didn’t measure pain acceptance as a construct. We did measure self-efficacy. We did do some other pain perception measures and we certainly did a four-level generic pain measure. All these outcomes showed essentially the same thing. In terms of looking at secondary outcomes, we looked at a lot of different outcomes including performance by the way. None of them showed differences across the three arms. When you reduce pains as substantially as a knee replacement does, you reduce catastrophizing as substantially as what occurs when the pain goes down, I suspect all those others follow. The study reaffirmed for me that the pain catastrophizing construct is dependent on current pain state. These curves basically overlap. If we can find ways to substantially reduce pain, we find ways to substantially reduce catastrophizing. In fact, we’ve never seen a study that reduced catastrophizing as much as our study did. It wasn’t because of the Cognitive Behavioral Therapy, it was because of the arthroplasty. For that group, it’s indicated and surgery does well. Dan, I want to thank you for being on the podcast. I’m sure everyone is going to want to reach out, learn more about you and your work. How can they find out more about you? Knowing what not to do is just as important as knowing what to do at times. There are two ways. For those of you that use PubMed, you can always just search on my name, Riddle DL, and you can read all of the works that I’ve been able to contribute to. We do have a website here at Virginia Commonwealth University, Department of PT and I have a page there and that has some additional information. Feel free to reach out in my email address is on that webpage as well. Make sure you reach out to Dan at the Virginia Commonwealth University Physical Therapy Department. You’ll find out information about him, the other faculty and all the great research they’re doing as well as their great PT program. I want to thank all of you for joining us. Make sure to share this out with your friends and family on Facebook and Twitter, LinkedIn. Take it and pop it onto our Facebook group where there are thousands of people and practitioners interested in pain, pain coping skills and pain medication. They’d benefit the work. I want to thank Dan again for joining us. Dr. Dan Riddle is the Otto D. Payton Professor of Physical Therapy, Orthopaedic Surgery and Rheumatology at Virginia Commonwealth University in Richmond, Virginia. His clinical and research interests are in lower extremity musculoskeletal disorders with a primary focus on osteoarthritis and joint arthroplasty. His research interests are in diagnostic, prognostic and intervention-based research with an emphasis on the role of pain and pain with activity in the disease onset and disease recovery process. Dr. Riddle has published extensively in the rehabilitation, orthopedic surgery and rheumatology literature and is currently the Chair of the Neurological, Aging and Musculoskeletal Epidemiology Study Section for the National Institutes of Health. He has served on study sections for several institutes at NIH and for international research granting agencies. Research funding has been awarded from the Foundation for Physical Therapy, the National Institute of Arthritis and Musculoskeletal and Skin Diseases and the Agency for Healthcare Research and Quality. Dr. Riddle served as Deputy Editor for Physical Therapy from 2005- 2015 and currently serves on the editorial boards of The Journal of Pain and Geriatric Orthopaedic Surgery and Rehabilitation.